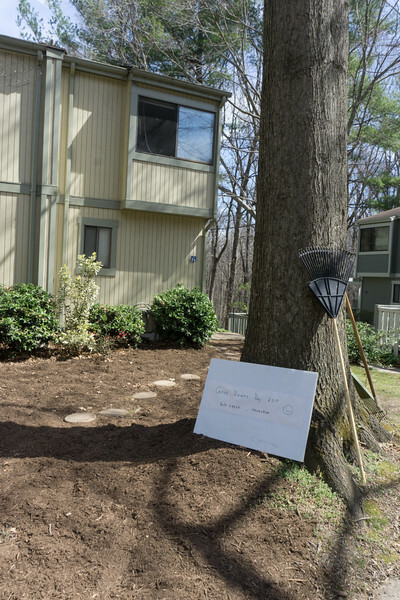 On April 2, 2017 Congregation Beth Emeth and Shoreshim teamed up for some Mitzvot (Good Deeds): We painted the entire interior of a Pathways group home and raked and mulched the yard, planted flowers & herbs at two local Jewish group homes, the Beth Emeth Chorale gave a concert at a nearby assisted living facility, we signed up for approximately 30 "Cool Green Bags" whereby subscribers contribute food every other month, we made about 20 blankets for children at the shelter, and made 50 get-well cards for children and soldiers in hospitals and congratulations cards for new U.S. citizens. We also collected needed household items for SPARC. These projects are in addition to Religious School activities the same morning, which included learning about the mitzvah of helping others while prepareing food and other items for the needy. A hearty thank-you to all who participated, and especially to organizers Ron & Janet Klayton, Ted Benjamin, Debbie Smith, Rachel Foster, Robin Schulman, Robyn Feuerberg, Doug Landau, Laurie Rustick, Gail Greenberg, and our Shoreshim partners Bob & Fran Schnapp, Kari Uman, Sharon Canner and Judy Bleiweis. Photos by Susan Berger, Janet Klayton, Ron Klayton and Jim Sloan. For the download password, contact cybermaven@bethemeth.org.